Super sweet and colorful bar necklace. 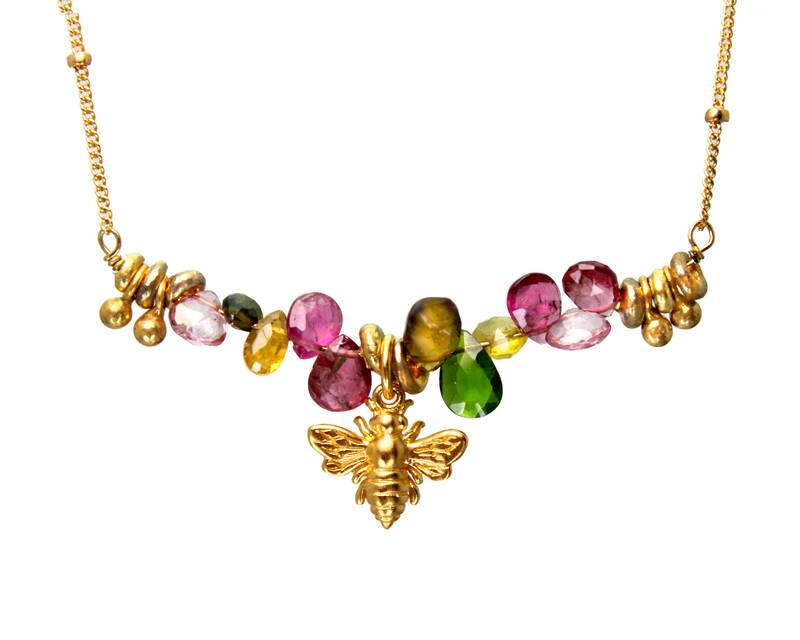 It is believed that bees symbolize the sun and community, making this a great gift for someone who wants the people of the world co-exist in peace and love. At festivals the druids, who worshiped bees, drank mead, an alcoholic honey drink. 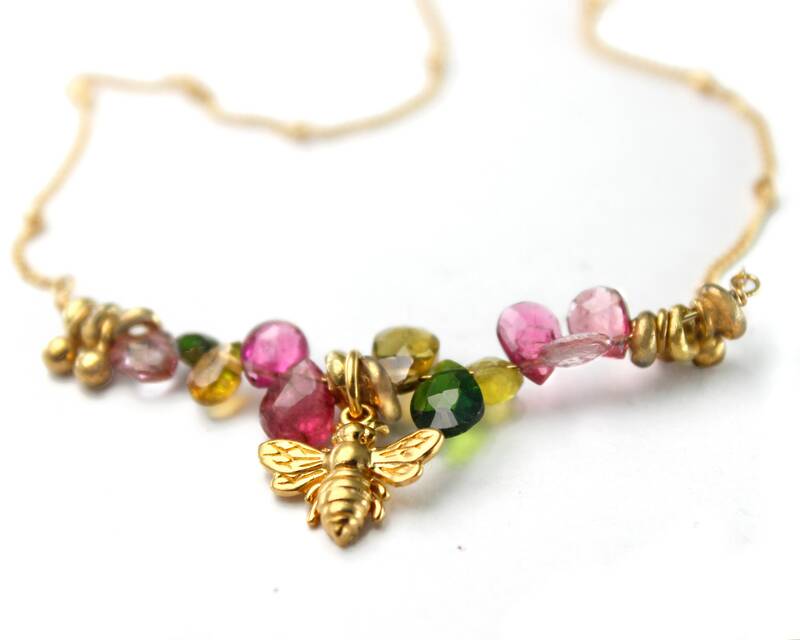 Made with natural gemstones, mostly multi-tourmaline and spinel, and a delicate satellite chain, in Gold, Silver or Rose Gold, with Gold Vermeil, Rose Gold Vermeil or Fine Silver accents and bee. Our fully adjustable clasp necklaces include a 1." extender.